While temperatures dipped to -10 C just a few days before Christmas, Breaking Bad’s Aaron Paul was shooting a movie on a frozen Manitoba river, just outside of La Salle, Man., about 20 kilometres south of Winnipeg. While temperatures dipped to –10 C just a few days before Christmas, Breaking Bad's Aaron Paul was shooting a movie on a frozen Manitoba river, just outside of La Salle, Man., about 20 kilometres south of Winnipeg. Just up an embankment, dozens of crew members were busy building rigs for sets, adjusting lighting, adding heaters to a barn and even walking a small grey animal on a leash, prior to its closeup. Paul is just one of a string of Hollywood stars who have landed in Winnipeg over the past year and ended up filming in rural Manitoba. 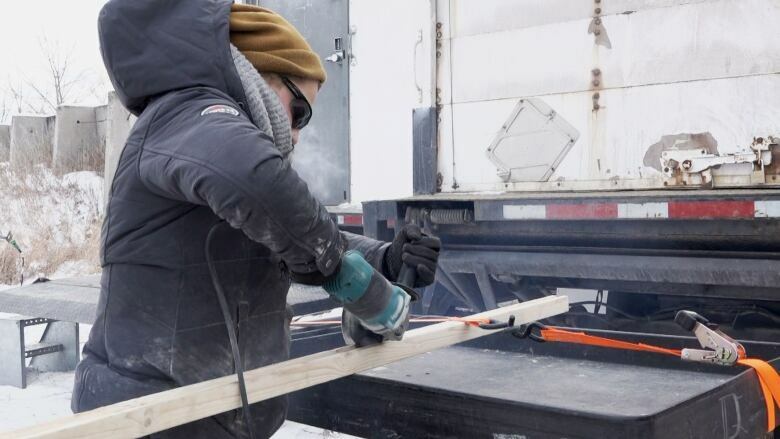 Manitoba Film and Music, the government-funded agency that helps buoy local film producers, said about 40 per cent of filming last year was done outside of Winnipeg. "The L.A. producers came up here a couple of months ago, did some scouting. The director fell in love with some of these locations," said Ian Dimerman, who heads the local production company Inferno Pictures. He's co-producing the Aaron Paul movie The Parts You Lose, which also stars Fargo's Mary Elizabeth Winstead. "You've got a relatively weak Canadian dollar, which really helps, and you couple that with some of the fantastic subsidies," said Dimerman. "There's definitely a lot of interest right now in shooting in Manitoba." 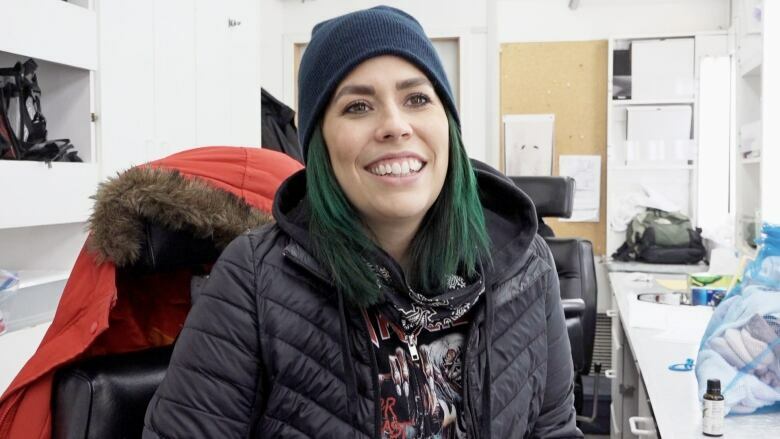 In one of the trailers on the sprawling set, 35-year-old makeup artist Kristy Greig showed off a pair of artificial severed heads — brought in from another production to impress one of the younger cast members. "Since I was a very small child, I've had a love of horror movies and all things gore so naturally I wanted to go into makeup to make monsters, and I love it," she said, adding she does the occasional Christmas movie to "keep blood off my clothes." She's been doing movie makeup for a decade, and this latest project blends the gore with the tamer films she's done. "I get to do some blood and some dirt and get to beat Aaron Paul up a little bit, so it's fun," she said. Greig said there's been a lot of work lately and much of it is outside of the city. "I wrapped a show and started a show in the same day. So there's been no downtime," she said. "You always have to check the weather and the roads … you get used to driving in the dark." Dimerman said he's been all over Manitoba in recent months. This summer, he produced a movie for Netflix called How it Ends. "We moved the entire company from Winnipeg to Brandon for a week. So you can imagine the economic impact of renting hundreds of rooms in Brandon, feeding crew and buying as many services, quite frankly, as we could in that Brandon area," he said, adding crews then moved on to shoot at Victoria Beach. Manitoba Film and Music CEO Carole Vivier said some productions have spent huge amounts of money in rural communities as well as smaller cities and towns. "In Selkirk, the [CBC] series Burden of Truth … they spent over $1 million on rentals — location rentals, there," said Vivier. "The Riverside Grill — they re-did the whole front of that little restaurant, and the producers wanted to leave a legacy behind to the town, so instead of having them do the facade that would last for three days for production, it's actually going to last for 30 years." Selkirk's mayor, Larry Johannson, said the town is planning a flag-raising and celebration in honour of the film on Jan. 5, and on Jan. 10, residents are going to meet at the local Boston Pizza to watch the show's premiere. He said the city has seen an increase in productions over the last few years, so much so that a crew member stopped him this summer to ask if people living in the area were tired of the film crews showing up. I said, 'No, absolutely the opposite. You know what? It's exciting for our community when you guys are here. We see the great big trailers rolling into town,'" he said. "We had one movie that was supposed to be in the States and they turned one of our downtown blocks, our historic downtown block, completely in to this small American town … It's just really something to see and it really does warm the hearts of the people in town." Johannson said it's been a godsend for the city's businesses, especially in the more historic areas. "They're putting money in the cash registers. I mean, they're staying at the Canalta hotels, they're eating in town. They're buying their coffees in town. They're having a few drinks in town when they stay," he said. "Every place that they use, they're compensating them." 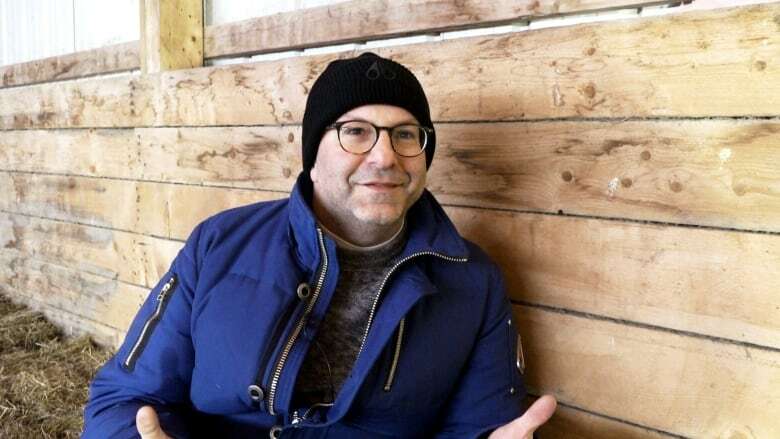 A producer on the CBC-TV legal drama Burden of Truth recently spoke at the city's citizen of the year ceremony, and told Johannson Selkirk was known among other producers. "He said, 'You guys are really on the map … Selkirk is well-known as a good place to do business when you're shooting.' That was, as mayor, something that I was really happy to hear," said Johannson. Film productions stopped in 25 different Manitoba communities in 2017, including Carman, Portage la Prairie, St. Clements, Dugald, Churchill, Pine Point and Marquette. And Manitoba Film and Music is predicting the number of rural shooting days will increase over the next year.